Floating Lab Collective is Provisions’ community arts program, led by Chilean-American artist Edgar Endress. In the past two years FLC has produced a series of projects that sought to raise positive awareness of immigrants in greater Washington DC, including a project in which day laborers were asked to create models of their dream houses, which were then widely exhibited in various public locations. OSI proposed activity: In response to growing discrimination and bask-lash against immigrants, FLC proposes a public art campaign to widely disseminate a graphic symbol designed to represent the historic and future aspirations of immigrants in the United States. FLC’s initial mock-up utilizes the image of a red bird in flight, as depicted below. Red birds were chosen because they: Evoke migration, freedom and aspiration, symbolize both individual and group identity and can be translated virally into many graphic settings and adopted by individuals as well as groups. 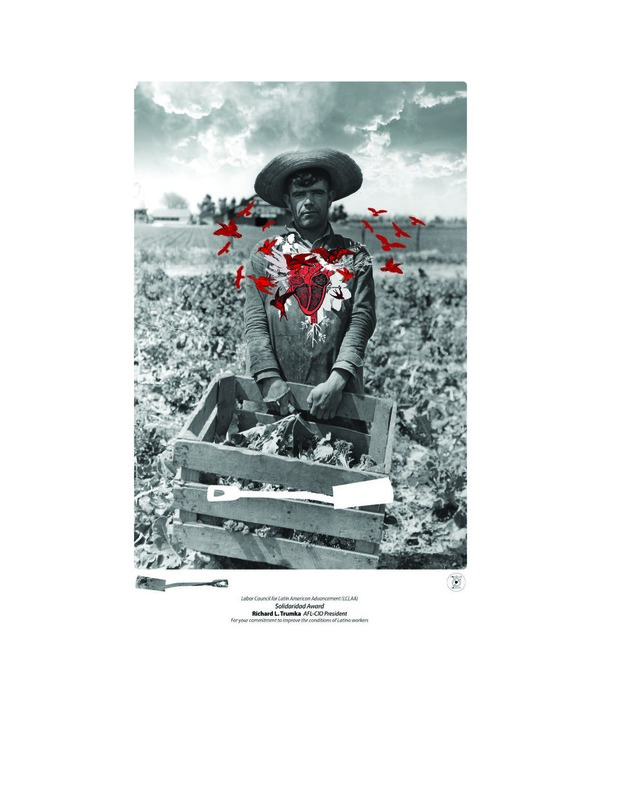 The initial campaign will use public spaces and structures, such as bus shelters, to install historic photographs of immigrant laborers collaged with flocks of red birds. These images will link contemporary immigration to the social fabric and economic history of the United States. 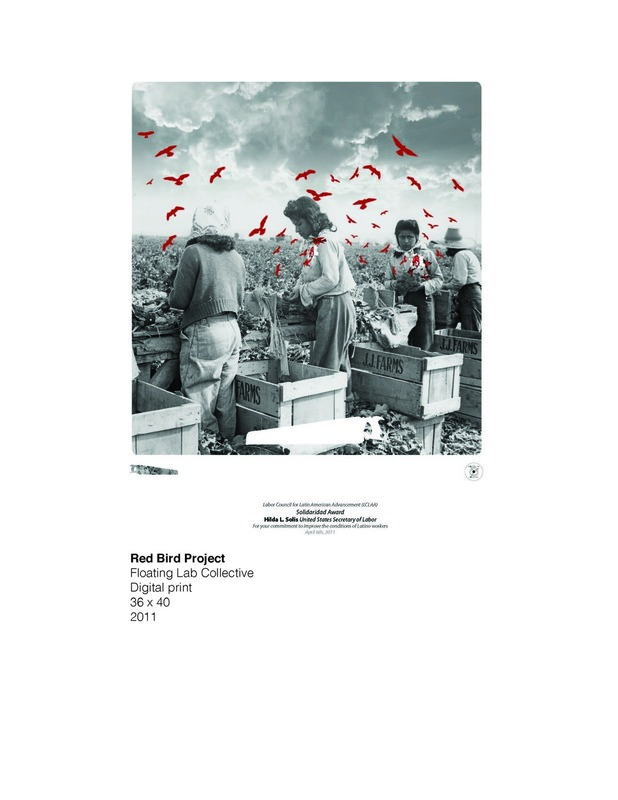 Flocks of red bird sculptures will be placed around the poster, appearing to have come out from the historical image and into the present landscape. These sculptures will migrate to different poster sites, their presence noting an “action”- a project, or performance on the subject of immigration on that particular day. Starting in Phoenix, Arizona, the birds will migrate to several other Arizona locations (Yuma, Tuscon, and others), where each site will have a unique “action”. Actions will explore the estrangement of the immigrant in our collective conscience- the creation of the “other”, as well as the economic, racial and legislative facets of the issue. The posters will be left at each site to spark continuous interest in the project, featuring information and a link to the webpage. FLC will engage with existing immigrant rights organizations in developing the campaign. The goal is to create an elegant image that raises public awareness of and shows support for positive developments in immigrants’ rights, functioning in a manner similar to the AIDS ribbon. “Floating Lab Collective” is a group of metropolitan DC based artists working collectively on performances, media art and research.